That said, there is one feature enhancement included in Pro Tools 2018.10 that live sound users will appreciate and was alluded to in the Venue 6.0 Release notes. Connecting the E6L or E3L, and using it as the selected Playback Engine in Pro Tools, will now allow simultaneous record up to 128 tracks, without the needing a Live Sound Production Toolkit iLok authorisation. What About Support For The New Versions Of macOS? Pro Tools 2018.10 delivers important bug fixes and includes improvements to Live Sound and Dolby Atmos workflows. 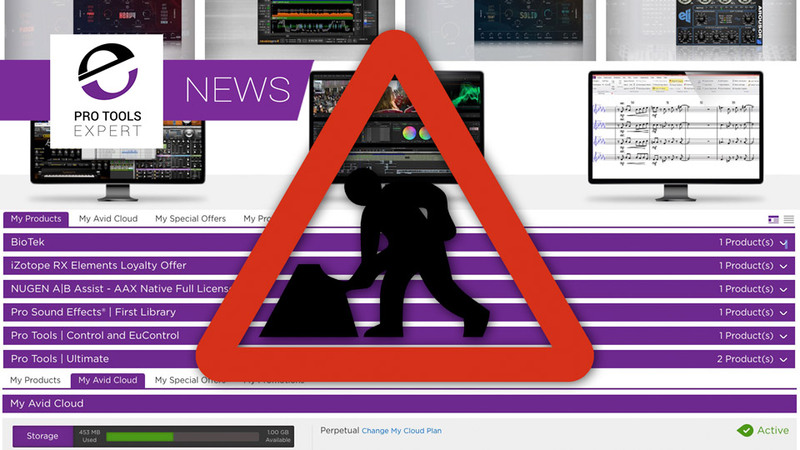 We are continually working to improve Pro Tools stability and performance, and we did not want to delay this release while we continue to work towards supporting the latest macOS and Windows versions. We understand you may have questions about releases and compatibility. Please refer to Pro Tools System Requirements for the latest updates. Fixed an issue where Pro Tools would continue stop and restart recording when issuing a stop command from the S6L. Satellite systems will no longer get into a state where the "Satellite can't currently play" dialog can't be dismissed. This would occur if another satellite transport was record armed during playback, but no tracks are record armed. In Playlists view, Shift-click the Target button for the playlist you want to target. In Playlists view, Option-click (Mac) or Alt-click (Windows) the Target button for the playlist you want to target. Hold Option (Mac) or Alt (Windows), click on the Playlist Selector menu, then click the Target Playlist sub-menu and click on the playlist you want to target. In Playlists view, Option-Shift-click (Mac) or Alt-Shift-click (Windows) the Target button for the playlist you want to target. Hold Option-Shift (Mac) or Alt-Shift (Windows), click on the Playlist Selector menu, then click the Target Playlist sub-menu and click on the playlist you want to target. Shift-click the playlist you want to target in the Playlist selector menu. Option-Shift-click (Mac) or Alt-Shift-click (Windows) the playlist you want to target in the Playlist selector menu. All Pro Tools Standard and Pro Tools Ultimate users with an active upgrade plan or those on rental subscription plans should find the Pro Tools 2018.10 installers in your Avid Master Account, as well as in your Avid Link app very soon, if they are not there already by the time you read this..